For me, the best part of finding new recipes is experimenting with new combinations of foods, flavors and colors. With cooking, I am the complete opposite of my own character — no longer the meticulous perfectionist who wants to be guaranteed of success and who fears to be surprised by the outcome, but preferring instead to improvise, replace, adapt, add, omit, all the while obeying my one golden rule: include garlic wherever possible, even if the recipe does not explicitly call for it! (I say wherever possible because the combination of flavors has to allow for it. I’m not one for adding garlic to sweet tasting foods!). I only measure when the consequences could be dire, and usually “eyeball” everything – not that I am particularly experienced, but perhaps because I don’t take the instructions (and the potential consequences of not following them) seriously. What’s the worst that can happen? (Says the person whose rice never turns out the same way twice). This attitude, by the way, is the exact reason 1) I nearly failed chemistry in high school and college, and 2) I do not bake. Summer is synonymous with freshness, crispness, crunchiness, zestiness, zinginess and COLOR. My eyes have now been trained by my camera after all the time we have been spending together lately, and they are easily excited by vibrant, deeply saturated, strongly contrasting colors. Summer means picnics in the park, refreshing weekend mornings spent on the sunny terrace of a café or at the bustling Jean-Talon market, and long evenings spent with ice cream and friends. Although I have an intimidating amount of work to get through these days, it is also on my priority list to enjoy the season, to be creative with cooking and with photography, and to just feel alive. While many great recipes can be found for free online, a series of cookbooks I really enjoy are those by Giada De Laurentiis. Having a soft spot for Italy and Italian cooking, I love her recipes because they are usually made with all the things I really love to eat. Her recipes are quite simple but creative, and I enjoy the conversational tone with which she describes how she thought of the recipes, or how they got passed down to her from earlier generations in her family. Some of them can be more challenging than others, but she takes you through the steps in a very easy-to-follow way. They also don’t take much time or exotic ingredients, which is a bonus for busy students like us. Although I can share many favorites with you, I thought I’d share 2 summery recipes for salads I tried this past weekend, from her book “Weeknights with Giada“. They turned out to be tasty and refreshing, especially accompanied by a tasty glass of rosé ! 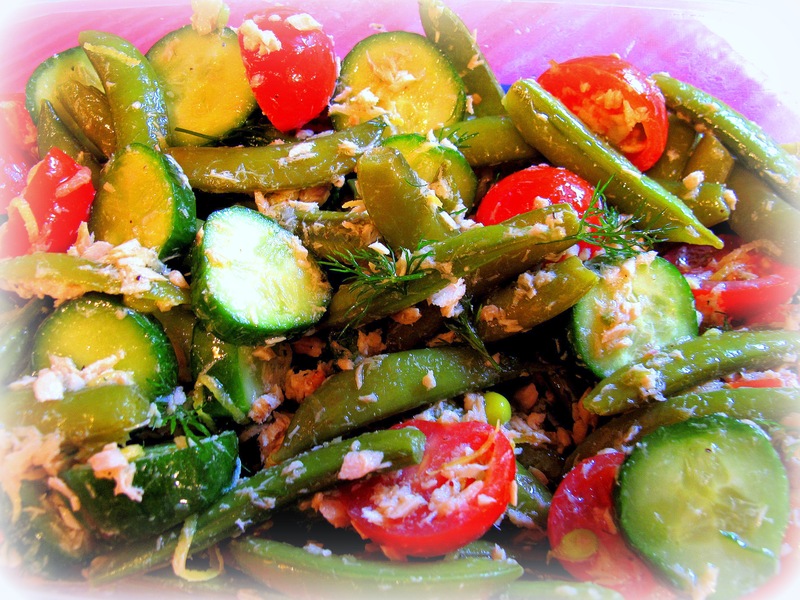 Giada describes this as “the perfect summer salad” and, after trying it, I agree! I was particularly intrigued by the combination of tastes and textures (for one, watermelon, with crunchy watercress (which I replaced with rucola because I love rucola), and salty feta cheese. In a medium saucepan, bring 3 cups water and 1 teaspoon salt to a boil. Stir in the couscous and reduce heat so that mixture simmers. Cover pan and cook for 8-10 minutes until couscous is tender. Drain and set aside to cool for 15 minutes. In a salad bowl, whisk together the lemon zest, lemon juice, olive oil, honey, salt and pepper. 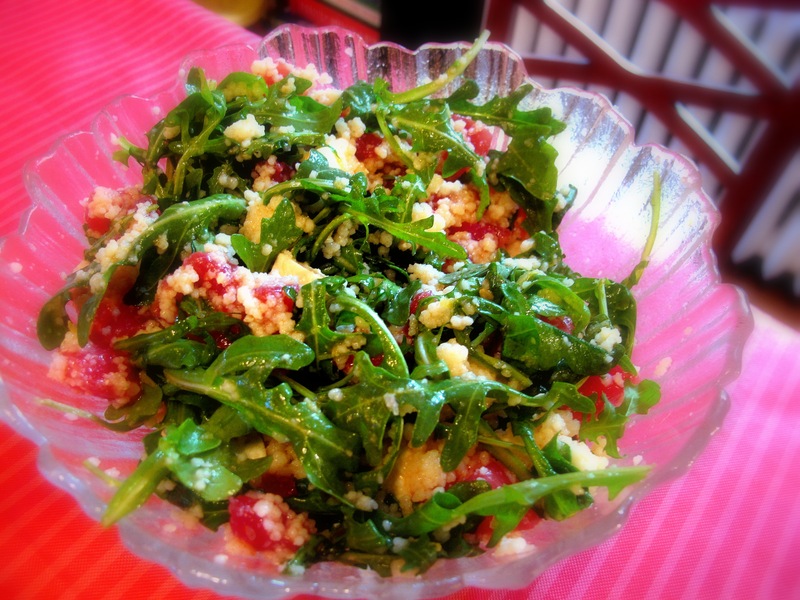 Add the cooled couscous, watermelon, feta and watercress (or rucola). Toss until all the ingredients are combined. Season to taste with salt and pepper, and enjoy! Now here’s a salad that has a ton of color, and also a really fresh, lemony zing to it! Bring a large saucepan of salted water to a boil over high heat. 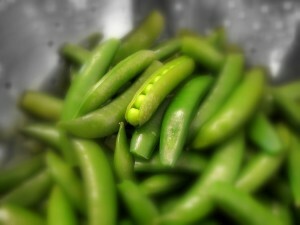 Add the snap peas and cook until they turn vibrant green (about 1-2 minutes). You could also lightly steam the snap peas for 2 minutes instead of boiling them. Drain and transfer to a bowl of iced water to cool for about 2 minutes. Drain again and put into a salad bowl. Add the cucumbers, tomatoes and dill. Whisk together the olive oil, lemon zest, lemon juice, salt and pepper until the mixture is smooth. Using a fork, flake the salmon from the can into ¾ inch pieces and add to the salad. Pour the dressing over and toss until coated. Published by Kristina Kasparian on 2012/05/29 at 11:45 PM under General Discussions, Tricks, tips and recommendations. I love it… as usual!!!! Enjoyed your latest entry & thanks for including those tempting, eye-appealing & healthy recipies which remind me of some creative nutrious salads Alice has made. Now, you’ve got me inspired & hungry!